Golden Star Ganesh and Rashmika Mandanna starrer Chamak is all set for Telugu release as Geetha Chalo. Bengaluru: Golden Star Ganesh and Rashmika Mandanna starrer Chamak will be released in Tollywood as Geetha Chalo. Rashmika Mandanna has become a sensation in Telugu film industry with the success of her movies Chalo and Geetha Govindam. She is one of the busiest actresses and has starred with actors like Arya, Vijay Devarakonda and Tamil star Karthi. 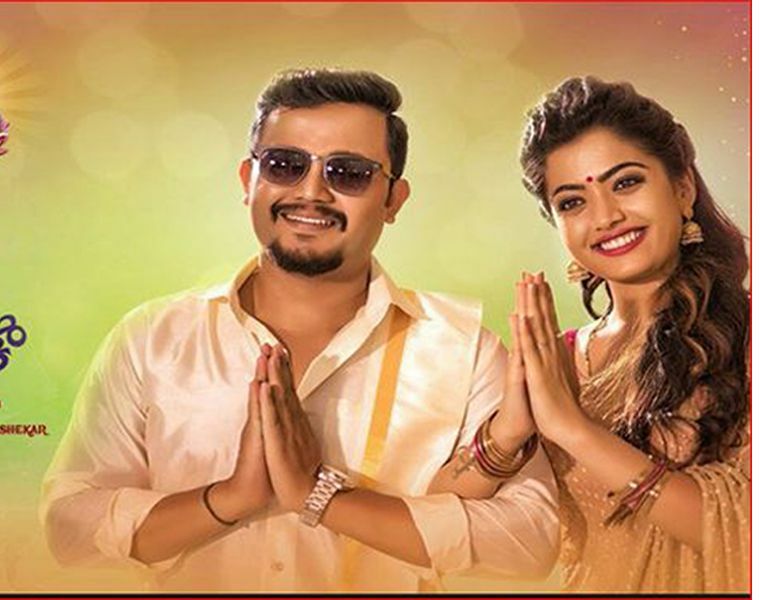 The Kannada movie Rashmika and Ganesh starrer Chamak had become a blockbuster hit in Sandalwood. As Rashmika's popularity is ever increasing, so is the demand for her movies to be dubbed in other languages. The trailer of Geetha Chalo has been released.